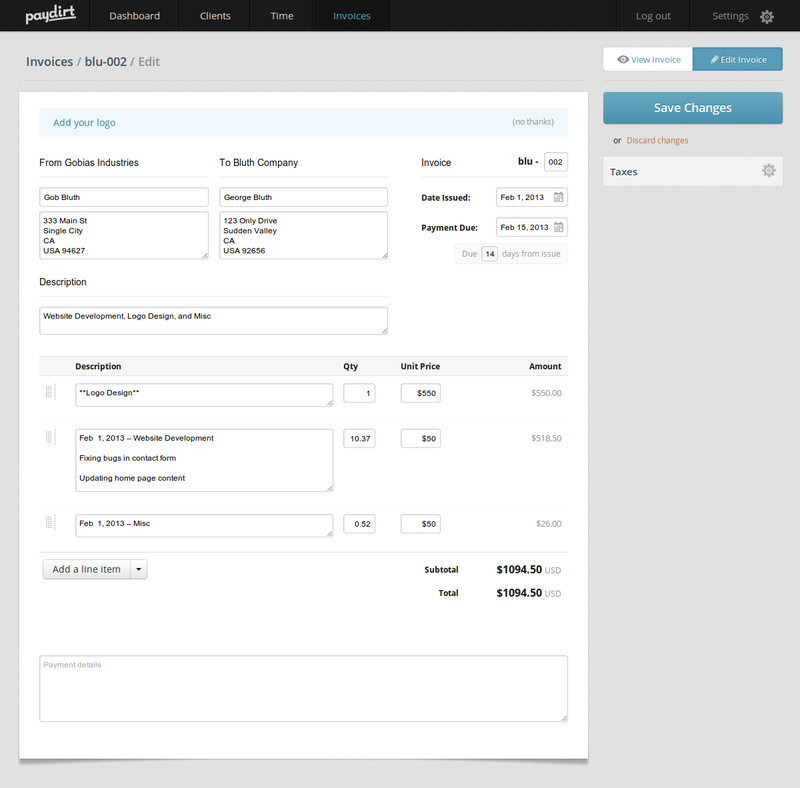 On any invoice page, click Edit Invoice to enter the visual editor. 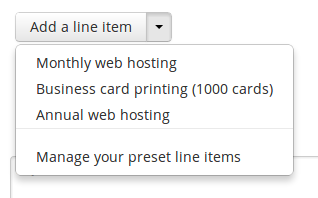 Blank line items can be added in a click, and preset line items can be added from the list. Line items can be easily reordered. Drag a line item by the handle and drop it to a new position. Descriptions are formatted using Markdown. Learn more about using Markdown here. A single asterisk produces italics, and double asterisks produce bold.